Three years ago, people laughed when Zwift CEO Eric Min talked about UCI or Olympic-sanctioned racing on Zwift. But who’s laughing now? …represents, for sporting and public institutions alike, the interests of 194 National Federations, five Continental Confederations, more than 1,500 professional riders, more than half a million licensed competitors, several million cycling enthusiasts and two billion bicycle users all over the world. Therefore, it’s exciting news when the UCI turns their attention toward Zwift, further legitimizing virtual bike racing as its own discipline. First, let’s be clear: Zwift is the only platform where this is happening. While the UCI wants to remain platform-agnostic, I don’t foresee races of any importance happening outside of Zwift anytime soon. 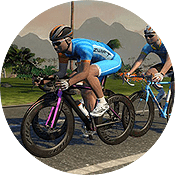 All competitors are years behind Zwift and simply do not have the software, user base, or capabilities to make it a reality. Additionally, we know Zwift has been talking with the UCI about “e-cycling” for months now. I’m sure ZwiftHQ will be working with the UCI to help advise on regulations and events in some manner. Lappartient states that the UCI has “included e-cycling in our Regulations”, but as far as I can tell there are no existing UCI regulations for e-cycling. Perhaps they are working on these regulations currently? It will be interesting to watch as a set of rules is codified for e-cycling, because those rules will have to work with multiple software platforms, hardware devices, race formats, etc. No small task! 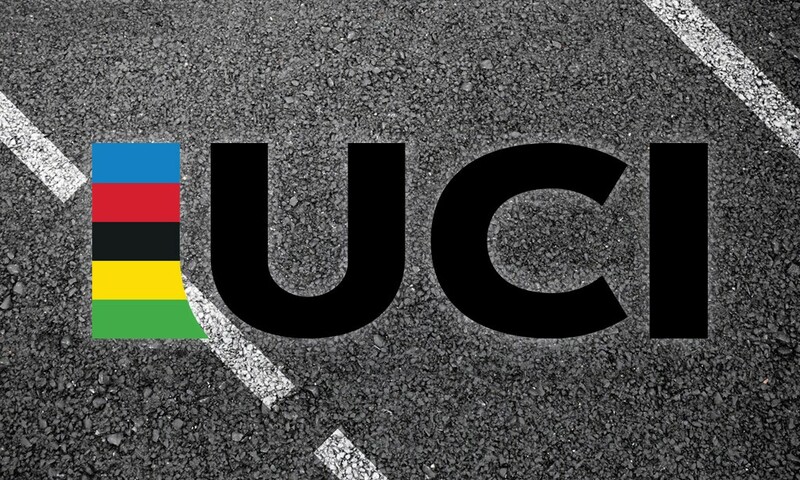 This is exciting news: the UCI plans to hold the first-ever e-cycling Worlds Champs in 2020. Surely this competition will be held on Zwift: now that will be an exciting race! Eric Min has shared his dream of seeing e-racing at the Olympics, and the UCI looks to be interested in the same with Lappartient being appointed as head of the IOC’s e-sports Liaison Group. Can you imagine: Zwifting in the Olympics? What a time to be alive! Just tossing this note in: the UCI really needs to separate e-cycling from e-bikes. Lappartient writes about e-mountain biking, but this refers to mountain bikes with motors, not mountain bikes on a trainer competing in a virtual environment. Let’s separate our terms and reduce confusion, UCI! Onward and upward. I can’t wait to see what the next 12 months hold for Zwift racing! It’s kind of good news but also means that Zwift will invest A LOT in spectating and broadcasting experience. 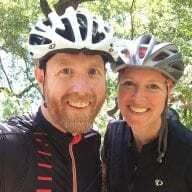 As a Zwift user I want them to invest in rider’s experience. There are tens of riders’ feature requests and bugs on Zwift forum (workout pacers, support of right/left balance etc), I am afraid broadcasting/spectating features will be prioritized 🙁 But hopefully they’ll improve physics. They do need to figure out a better name. I thought the headline was referring to E-bikes. Otherwise, great news! I think it would have to be called V-Cycling (as in virtual) to separate it from E-Cycling (e.g. cycling with electronic assistance).